With headlines about sexual harassment sweeping Silicon Valley, the former CEO of Xerox has a message for women: Don't avoid the tech industry. "Go into tech. 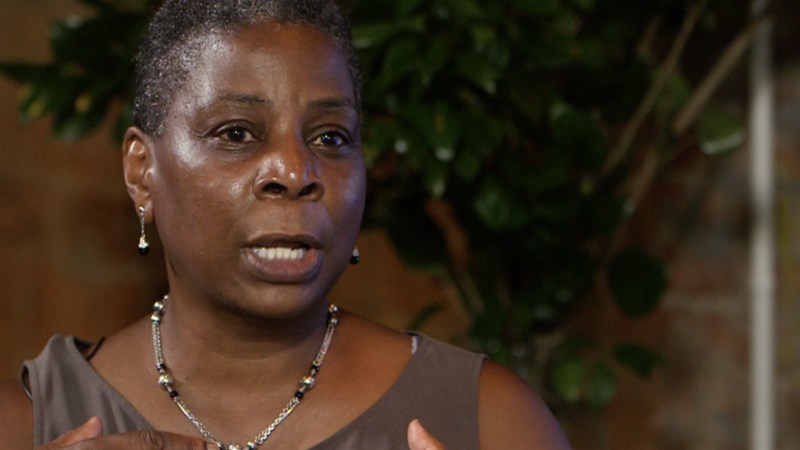 They will hire you," Ursula Burns told Poppy Harlow at CNNMoney's American Opportunity breakfast in New York Tuesday. Burns, the first black female CEO of a Fortune 500 company, said that tech companies know they can't just keep hiring and promoting men. That means for women, it's a "time of power" that could help affect real change within the industry. "We have to own our position in the world and be strong and aggressive about it," she said. At a young age, Burns was told she had three strikes against her: she was poor, she was black and she was a woman. But professionally, Burns found she could use the latter two categories to her advantage. "By the time I got to work, I was very used to being around a whole bunch of men who were fairly uncomfortable with difference," she said. Burns said that since she was "very comfortable with them," that gave her the upper hand. 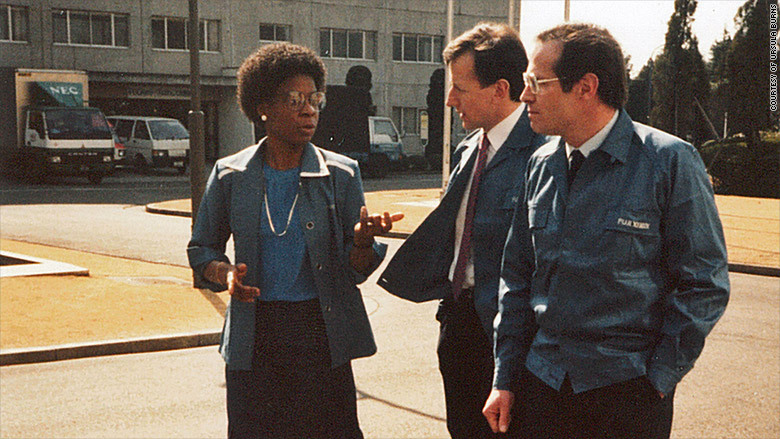 Ursula Burns with some of her Xerox coworkers. On whether male business leaders have a real desire to affect change in the workplace, Burns was frank. "They generally don't give a hoot," she said. "They care about women, but we're asking them to do some pretty hard things here." She noted that there was not one woman at a recent meeting in Washington, D.C. on women's health issues, leaving out a "clear voice in the room." Just like in Washington, she said businesses are still made for men because they are still structured to be run by men. "They don't have a clue what 'structurally made for women' is about," she said. Burns also discussed how important it is for women to find a spouse who can help them excel professionally and manage things at home. She met her husband, Lloyd Bean, while she was working at Xerox (XRX). Twenty years her senior, Bean stayed home to help raise their two kids while she was climbing the corporate ladder. "You should find a great partner," Burns said. "Man, woman, whatever it is -- you have to find a good one." Both parents should also be prepared to take parental leave, she said, and companies must provide that option to both fathers and mothers. "Men have to say something [to their bosses] like, 'My wife is having a baby. This isn't a one person job, this is a two person job,'" she said. "If they tell you they can't give you leave, quit and find another job that will." Burns admitted that raising children isn't easy (she and her husband have two kids). But not having more children is one of her biggest regrets. "I actually stopped too soon," she said. "My kids are such a joy."